Dull, lackluster skin gets a micro buff and flawless makeover with this dual-action clarifying mud exfoliation mask. 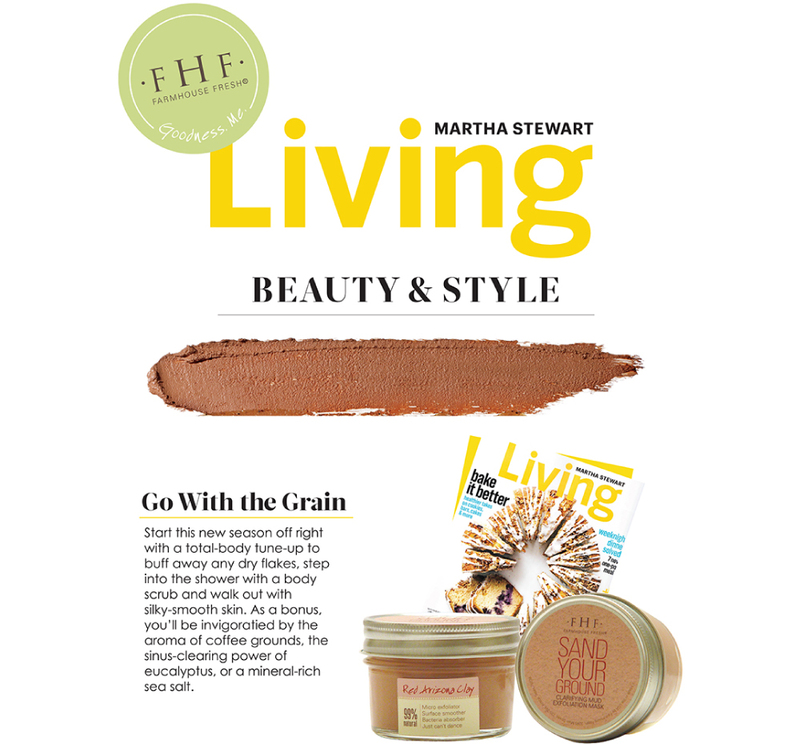 Awarded Top New Skincare product by Essence magazine, and named a "New Classic" by Southern Living Magazine. The medium-grain powdered volcanic pumice polishes skin smooth, while Red Arizona Montmorillonite Clay absorbs bacteria and toxins. Willow Bark Extract brings a refreshing feel that soothes skin to a poreless-looking finish. 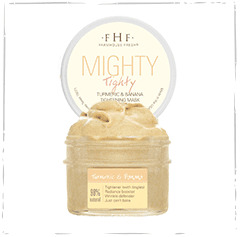 This mask does not tingle when used, and can be used either as a mask (if you don�t want to scrub), exfoliator (if you want a shiny, smooth look) or both, by exfoliating and then letting the mud dry before rinsing. 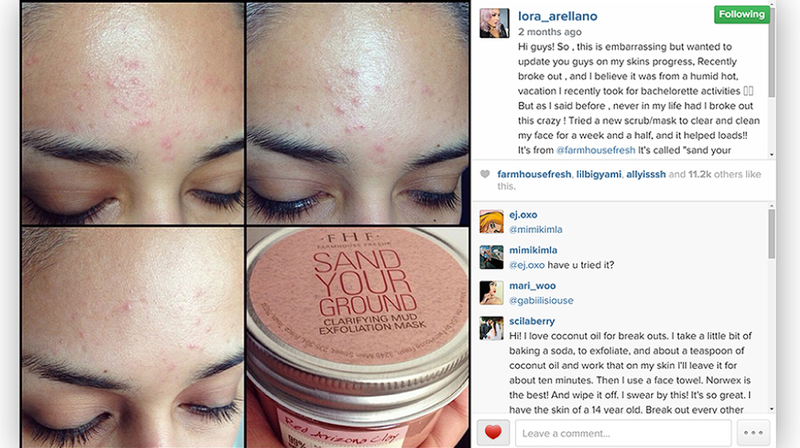 Fun fact: Lora Arellano, the incredibly talented Celebrity Makeup Artist, used Sand Your Ground® leading up to her wedding for a nearly photo-perfect day! See her Instagram before and afters featured to the left. Montmorillonite Clay, Organic Willow Bark extract, Pumice. 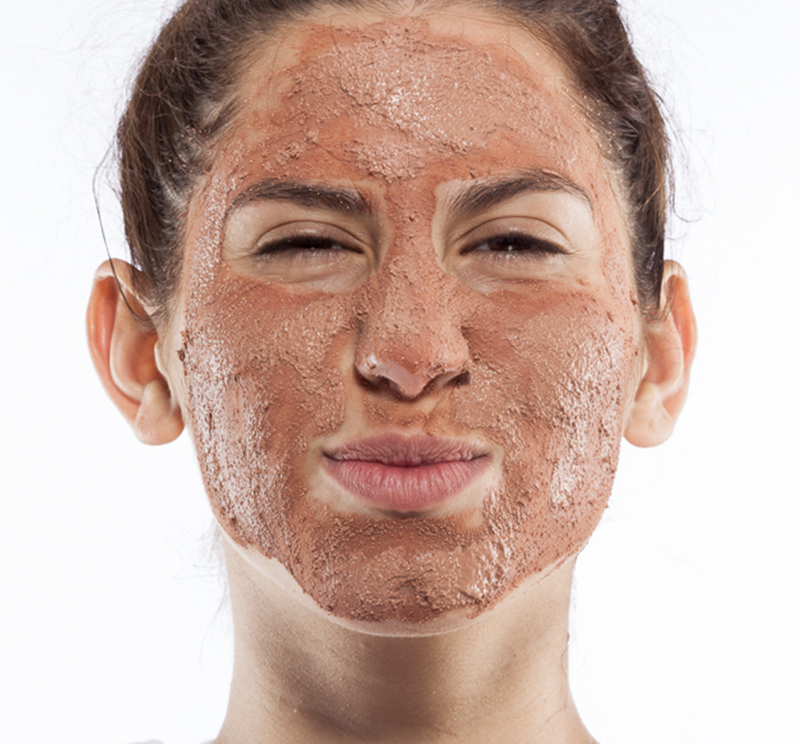 Montmorillonite clay has a negative charge that attracts and absorbs bacteria and toxins. Pumice naturally clears dead skin cells. Willow Bark Extract has strong astringent (constricting of skin tissues) and anti-acneic benefits. Organic glycerin aids in moisture retention. Montmorillonite Red Clay, Water/Eau, Pumice, Glycerin Certified Organic, Salix Alba (Willow) Bark Extract Certified Organic, Chondrus Crispus (Carrageenan), Microcrystalline Cellulose, Cellulose Gum, Phenoxyethanol, Ethylhexylglycerin, Parfum*. *Natural fragrance derived from 100% natural sources. Recommended for dull, congested & acneic skin. Splash face with water and apply mask with fingertips and exfoliate gently in a circular motion. Rinse with warm water, or let mud dry and then rinse. 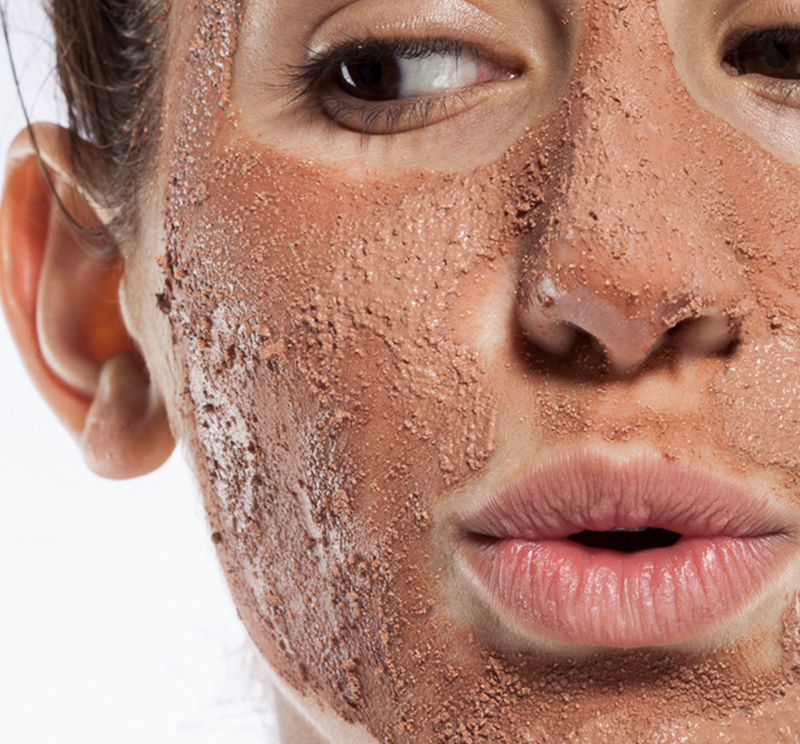 To use as a clarifying mask for breakouts and redness, skip the exfoliating step and only apply as a mask. Follow with a cleanser. Use 2-3 times per week. TEXAS MADE EXFOLIANT THAT TIGHTENS PORES. I branched out and tried this product in hopes of it helping with clogged pores and patches of dry skin in specific areas. This product not only left my skin feeling rejuvenated after a week (used twice), but clear and hydrated. I tried this exfoliator as part of the Bright Eye and Bushy Tailed Gift set and was so impressed I went and ordered the full size version immediately. I have been an apricot scrub user for a long time but ever since they changed the formula a few years back I've been consistently disappointed with that product. 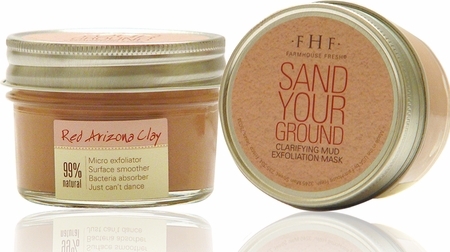 The Sand Your Ground product is a dream for me, I really love how coarse it is and it leaves my skin feeling so soft and smooth. 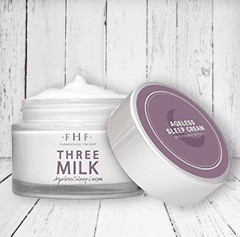 This has easily become one of my favorite FHF products, if I could subscribe to this product I would - lol! Highly recommend! This is a top five favorite in my skin care routine. I use this first to give my face a PERFECTLY smooth and clean slate to apply all the rest of my Farmhouse favorites. This keeps my skin super smooth, soft & glowing. 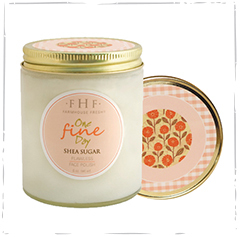 This is one of my favorite FHF products. I always use it in the shower 3 x weekly. I let it stay on my face several minutes (up to 5 minutes), rub in circular motion between my brows, on my chin, & on my cheeks before rinsing off in warm water then cold. I sometimes even apply it on my neck and decolletage using upwards sweeping motions toward my face before rinsing off. Years smoothe away and I come out of the shower ready for moisturizer and glowing. What a beauty bargain! FarmHouse Fresh:Hi Jamila! We're so sorry to hear you didn't love Sand Your Ground. Have you tried our One Fine Day Polish? It sounds like you might like a more moisturizing facial scrub. Our customer care team will reach out to you shortly! I received this last night and was soooo excited. I have very dry sensitive skin, so I was a bit nervous. Everything I've purchased smells like Heaven in a Jar, so on to the results! Very rough but it needs to be, I used a light hand for my sensitive skin. Circular motions then let dry as directed, as it was drying it felt like i was getting a Face lift and a slight warming sensation....whoa LOVE! Rinsed off and oh my goodness my skin felt as smooth as a baby's bottom it was spectacular! Since I have very dry skin I used the "WILL DEW" mask for 30-45 min after "SAND YOUR GROUND" My skin was super moisturized and like silk! Rinsed that off and used "THREE MILK NIGHT CREAM" And woke up looking like I went to a spa! Plump, fine line free silky smooth skin! #instantgratification. Everything from FHF I've tried so far does EXACTLY what it says it will and then some! Who Needs Electronic Exfoliating Brushes When Nature Provides For You? (I know I wrote a review saying if I could choose just ONE mask, I'd choose that one, but I consider this mask to be in a different category. This is more of a staple for a skincare routine.) That being said, this is one of my "must have" Farmhouse Fresh products. I've been a huge fan since I first ran into some of their body products in a local specialty gift store over four years ago and I've had plenty of time since to try, well, practically everything! To get to the heart of most skins issues, be it subtle dryness, oily patches, congested pores or especially just plain DULL skin, look no further! This mask sloughs off all of that dead skin that's been building up. I don't want to compare it to "sandpaper for your face" but it really does have a similar effect (just without the pain, lol!) "Sand Your Ground" does for your face what (I'm not going to say that word again) does for wood. It smooths out the surface, removing impurities and buildup, leaving behind a radiantly soft, pure surface that's just begging for you to apply the next nutrient rich product in your skincare routine. No need for electronic facial spin brushes here-this mask does more than those brushes could ever do and it'll do it in ONE GO. Imagine the wonders this mask works when used as part of your regular routine! I have finicky sensitive skin that can be prone to irritation, but this mask is still gentle enough for me to use. I LOVE using this mask and then following it up with one of the moisturizing masks. In particular, Sundae Best. Afterwards my skin feels like SILK. I have been using this for over a year and it is part of my daily routine. I have noticed a huge difference in my skin's texture. I highly recommend this to be part of your routine as well. You will notice a difference after a short period of time!! LOVE IT! I LOVE Sand Your Ground. It's a wonderful mask and the results are immediate. My skin is visibly softer. I use the Sugar Scrub too. They are a perfect combination.